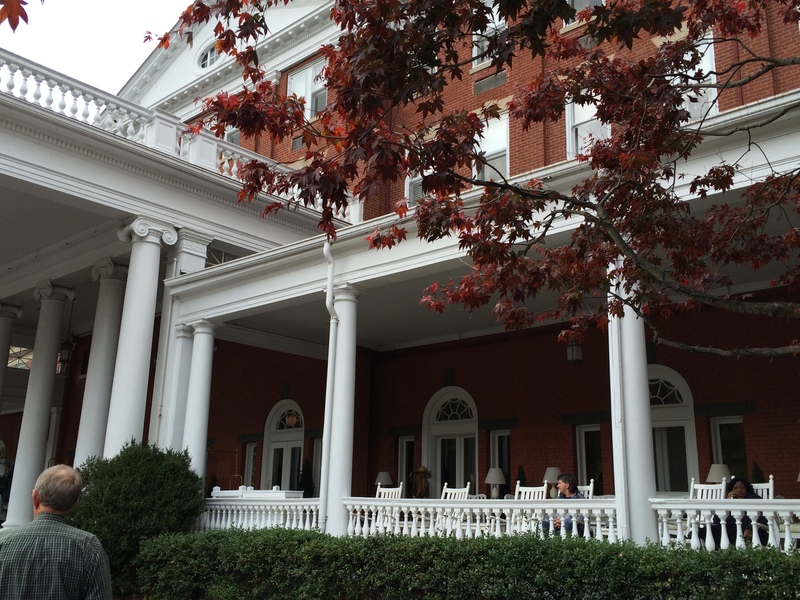 Final push Fall Color Tour 2015: No place like Homestead! | Oh, the Places We See . . . 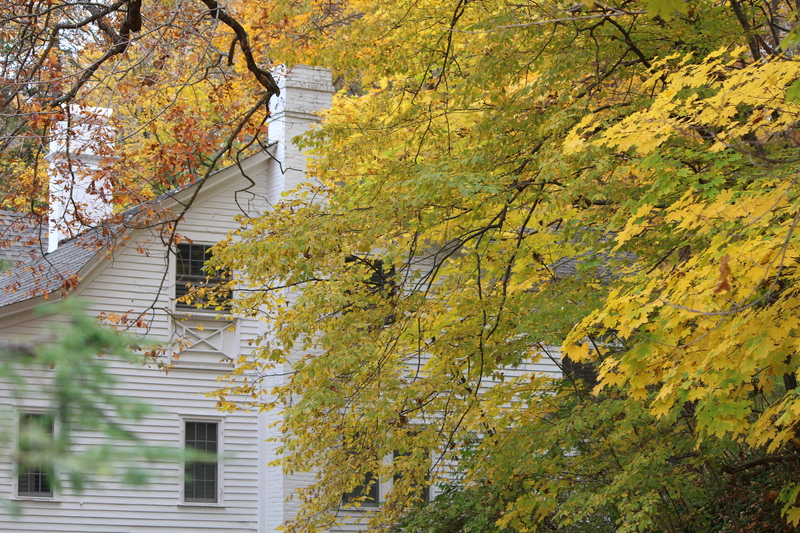 Final push Fall Color Tour 2015: No place like Homestead! Sometimes the end of trip can be a letdown of sorts. 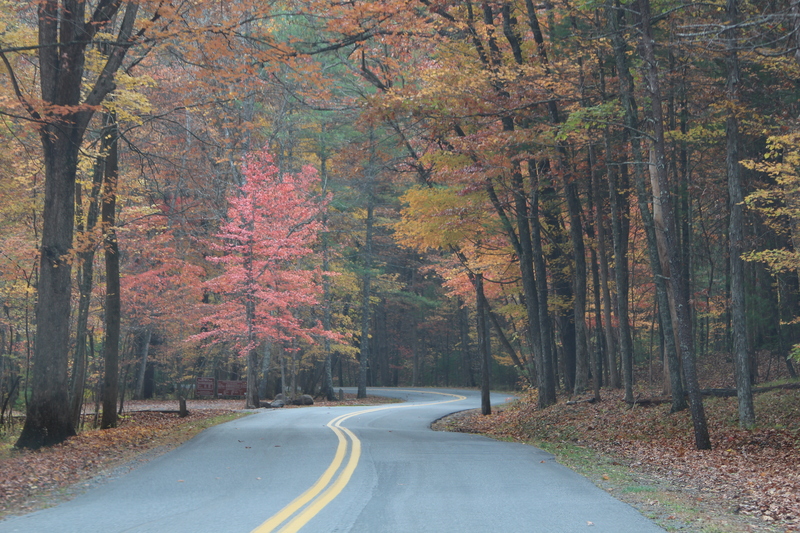 But not on this trip, our Fall Color Tour 2015. Even after seeing gold in West Virginia, touring built environments with pops of color at Tamarack and The Greenbrier, and stumbling upon great finds like covered bridges and state parks, we lucked into some surprisingly colorful, yet unexpected, vistas in Virginia and Tennessee with the reddest reds and “orangy-est” oranges of the trip. Now travel agents with tight agendas and must-see checkpoints might not like working with us. We like to ramble. And talk to folks. And gather info as we go. So, you can imagine our pleasure when we found a man in a Virginia rest area who shared his love of places we hadn’t read about. He even marked ’em on a map, and sent us on our way. 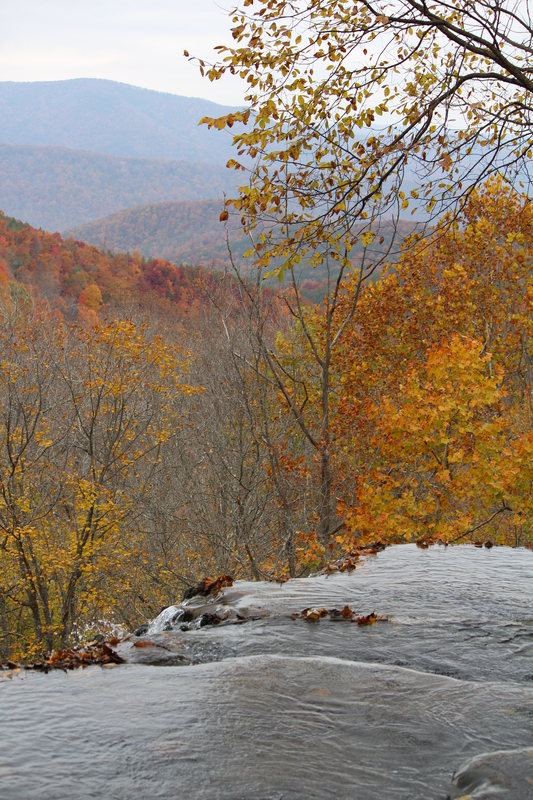 Beautiful Falling Spring Falls drops 80 feet from an overhanging ledge. 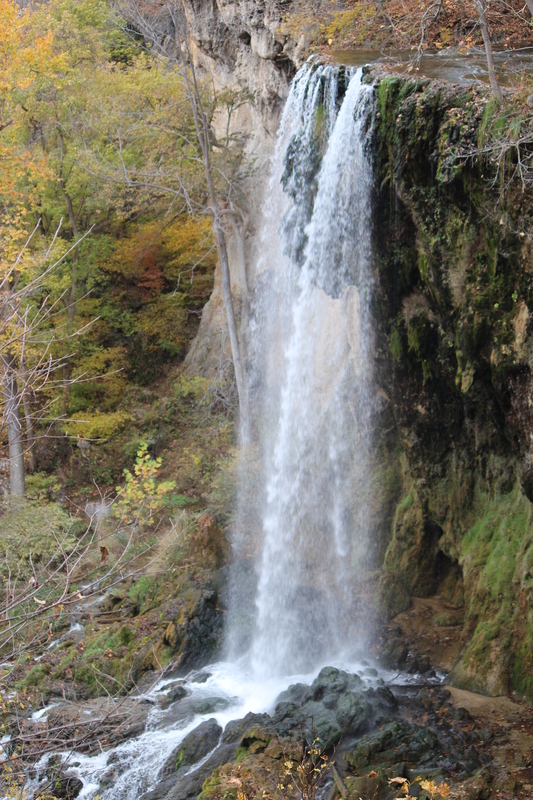 The 80-foot falls drop from an overhanging ledge, and the walking path open to tourists takes you right to the edge . . . well, almost. Because the falls drop from a ledge, it almost looks as if you’re viewing the Allegheny Highlands from an infinity pool. A natural one, of course! The area surrounding the falls offers woodland views of lesser waterfalls and babbling mountain streams cascading over moss-covered rocks. Add to that scene some colorful fall leaves, and you have the makings of frame-worthy photography when you get back home. 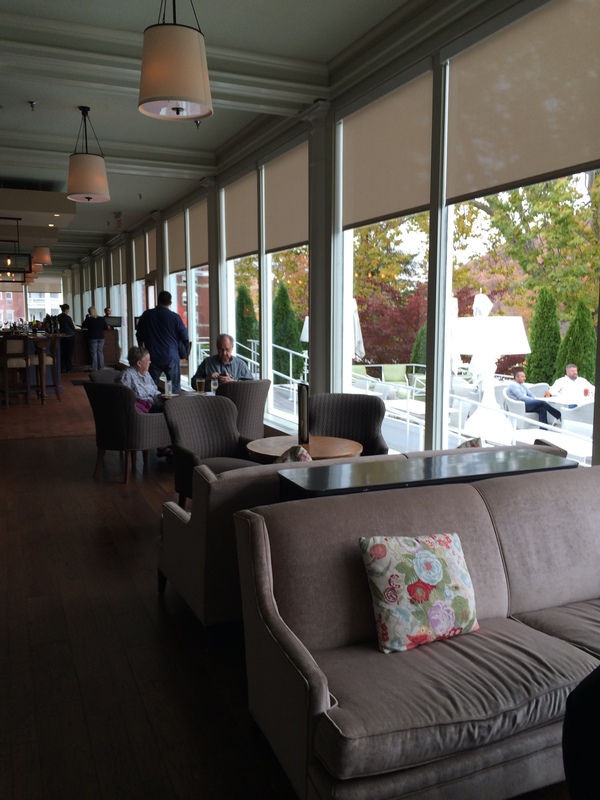 We were on a mission — to see The Homestead in Hot Springs, Virginia. And the “getting there” was spectacular in and of itself. We passed through (stopping a hundred times for pictures!) George Washington National Forest, ablaze for the season . . .
and finally saw what we had heard about for years but had never visited: the stately resort known simply as The Homestead. Since 1766, generations of families have visited The Homestead, a place that can boast of hosting 23 U. S. Presidents and countless dignitaries from all over the world. The Homestead will celebrate its 250th anniversary in 2016, no doubt packing lobbies and eating areas with guests remembering their first time at the hot springs resort as well as newcomers interested in starting a tradition. We found The Homestead to be welcoming and comfortable. No doubt, if you love soaking in natural springs, playing golf or tennis, or relaxing at a world-class spa, you wouldn’t have far to go to indulge yourself. 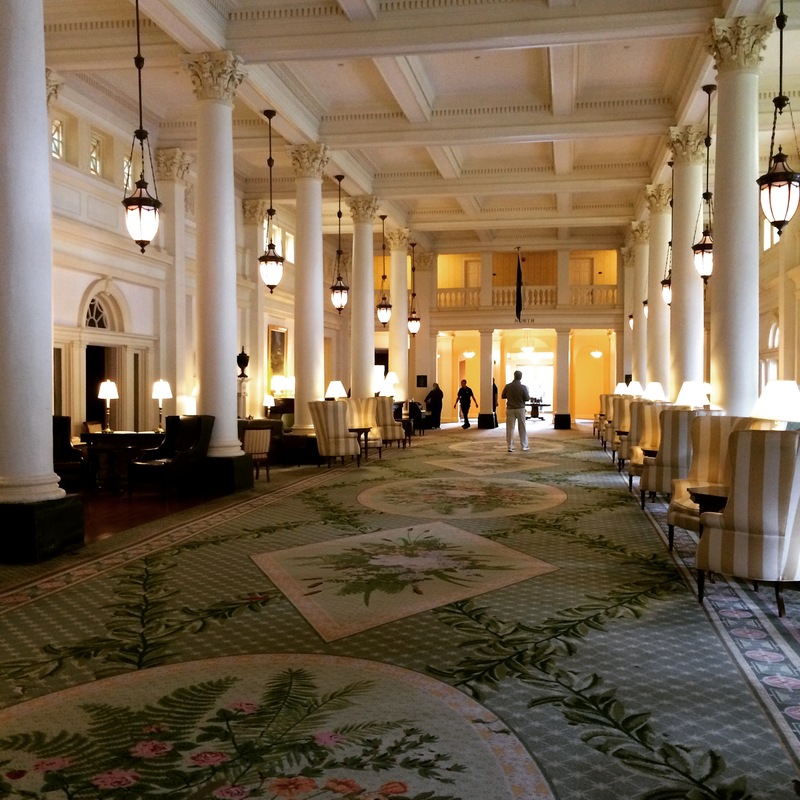 The spacious, light-filled lobby at The Homestead. As we left The Homestead headed home, stopping at rest areas like this one in Unicoi County, Tennessee, we noticed that many people had the same idea — just stand and take it all in. After all, for autumn lovers, it’s nature’s finest show. 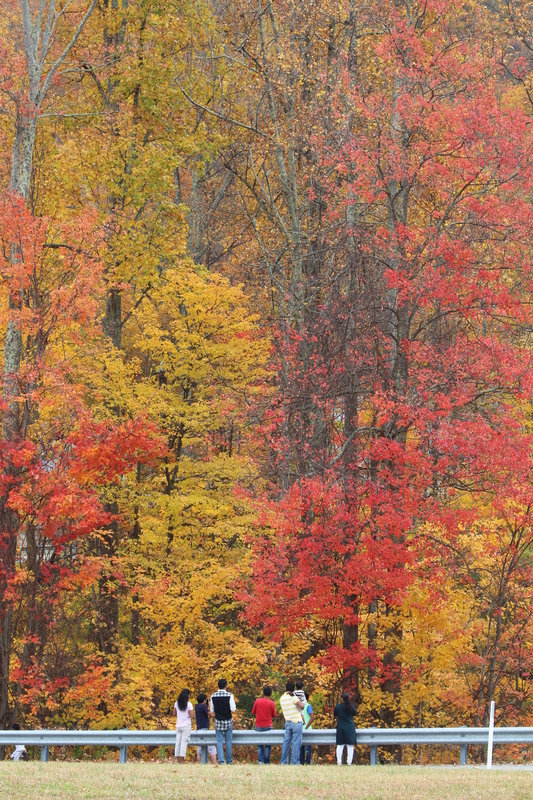 Visitors to a Tennessee rest area stand at the rails and take in the fall beauty. Finally, crossing from Virginia into Tennessee meant we were home. 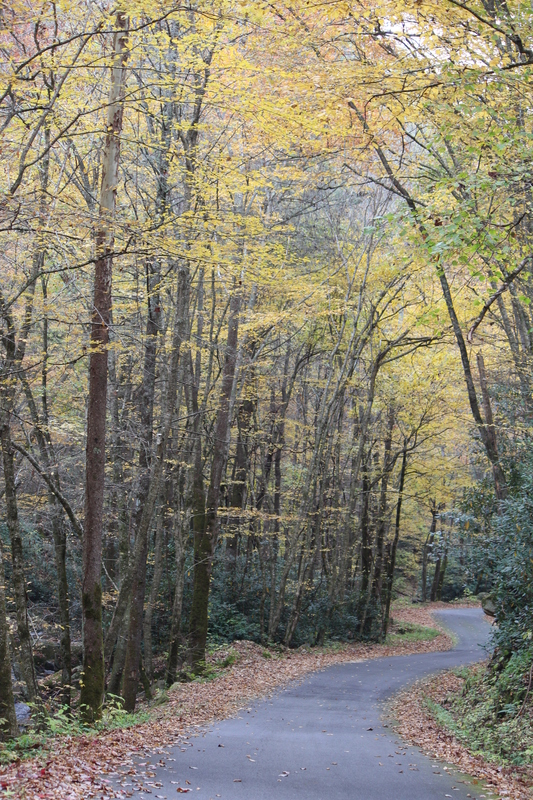 But not without another surprise: tiny Rocky Fork State Park state park 30 miles from Johnson City with a winding one-lane road and some of the prettiest scenery East Tennessee has to offer. 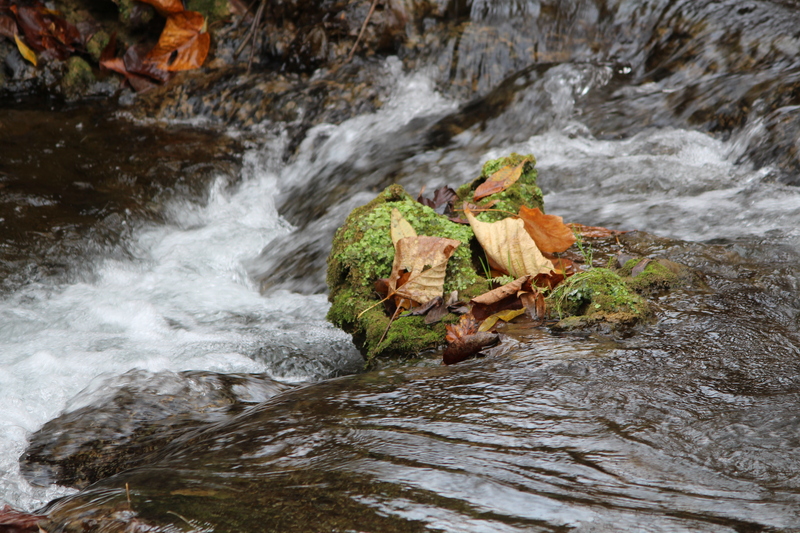 Mountain stream at Rocky Fork State Park in our home state: Tennessee! 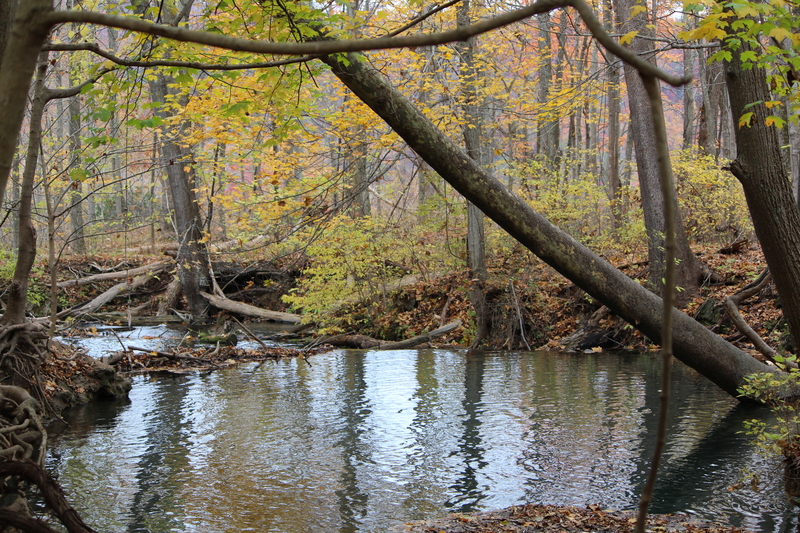 We stopped often and listened to the silence — the perfect end to our Fall Color Tour 2015! This entry was posted in Tennessee, Virginia and tagged Falling Spring Falls, George Washington National Forest, Rocky Fork State Park, The Homestead, Virginia, Virginia Is For Lovers. Bookmark the permalink. 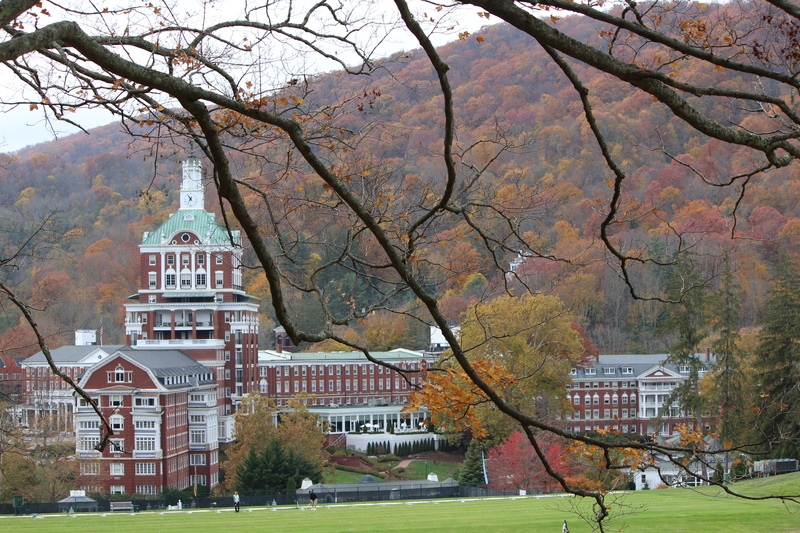 17 Responses to Final push Fall Color Tour 2015: No place like Homestead! Thanks so much for dropping by our blog and leaving a comment. I’ve wanted to travel during leaf changing season for almost 48 years but have always been working. So, this year, I’m glad we made the leap! Here’s hoping your holiday has been a good one, and you’re gearing up for a lovely Christmas as well. I’m enjoying taking pictures. 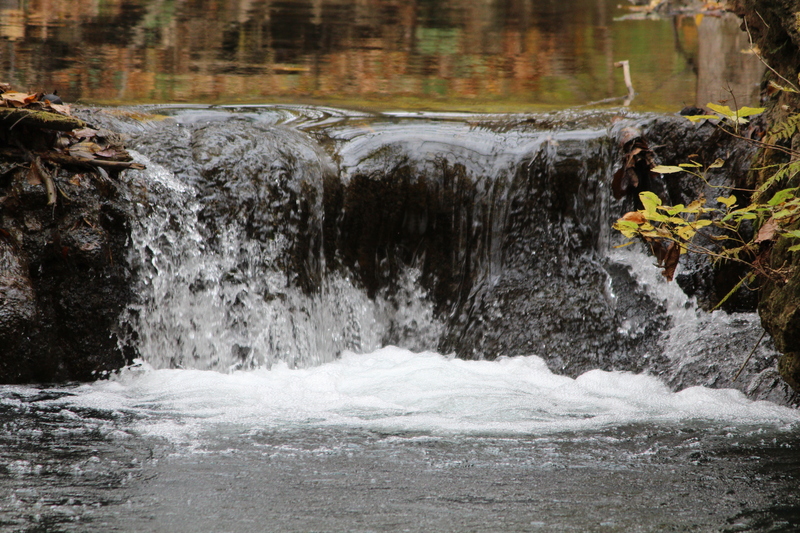 And although none are perfectly focused, etc., just pausing and taking a closer look is fun for now. May you and Bill have a Happy Thanksgiving! Your are helping me plan a road trip for next year. I love my year-round 70 degree F, but the downside is that I never get to see the seasons change. Absolutely lovely. Because I was in education 48 years, I never had the luxury of traveling during the fall color season. But retirement has its benefits. And this is one of them. May you and your family/friends have a Happy Thanksgiving! Thank you for the delightful sharing of your adventures. You take me on many wonderful journeys that I might never have been able to experience. Thanks so much for your kind remarks, Lynda. We love to travel and wish we had more money and time to be on the road even more. But maybe because we can’t travel all the time, the trips we take become even more special. Happy holidays. The waterfalls were spectacular! Love that you have such rich fall colors to enjoy, I thought New England had cornered the market but you certainly proved me wrong. We weren’t able to go to New England this year since we had a Texas wedding to attend. 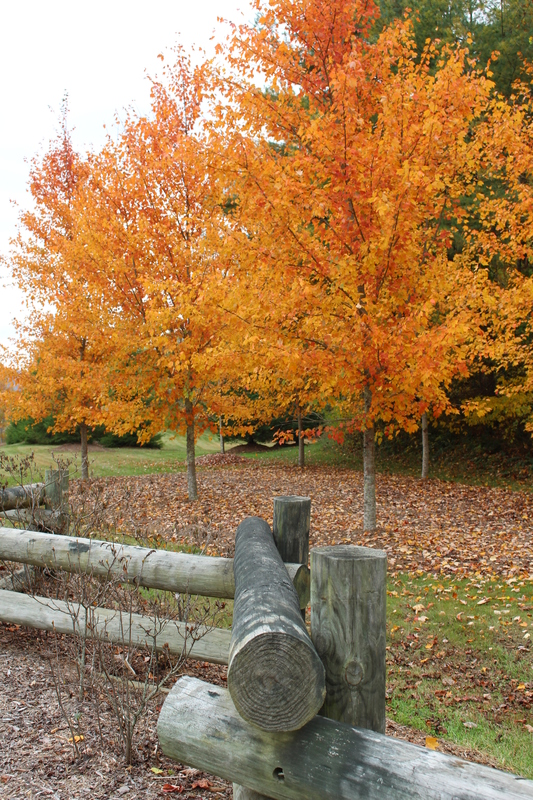 But maybe next year, we’ll see what I’ve always wanted to see — New England when the colors are at their peak! Happy Thanksgiving to you and yours! Love the falls! 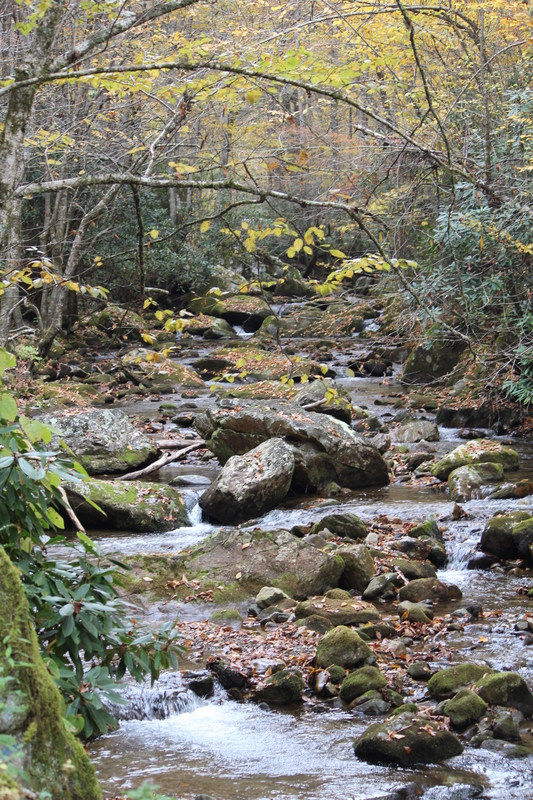 Wonderful Fall Color Tour 2015! The falls were quite spectacular — and the roar could be heard all the way to the parking lot. May have to go back to this part of the country again. But hoping my next fall color trip is in NH! Thanks for your comments which mean so much. 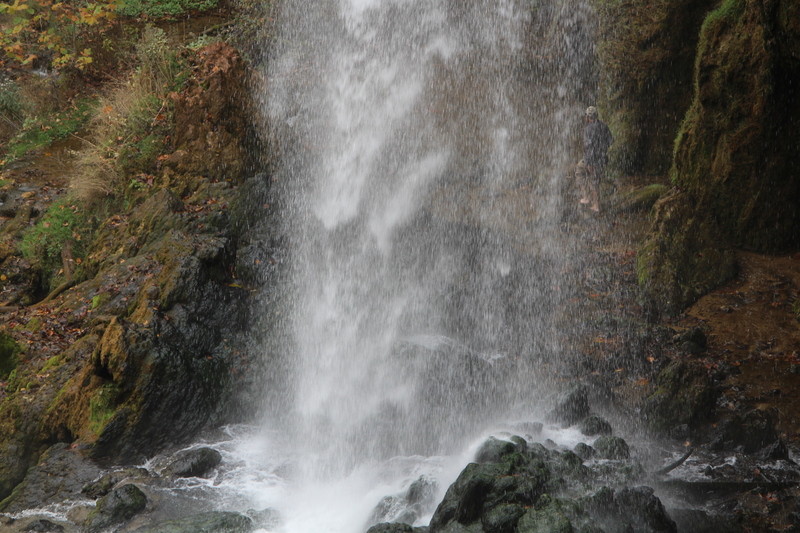 I love waterfalls, and the ones in Oregon have to be my favorite . . . although this one is spectacular in its own way. Best wishes to you and Peggy for a Happy Thanksgiving. Amy, you are so right about the Homestead. It’s a lovely place, and someday maybe we’ll be fortunate to spend a weekend there — just relaxing! Hope your Thanksgiving was wonderful, and you’re ready for the next holiday just around the corner!